As I’m into my fourth week of Moon Walk training for 2016, I am beginning to learn lots of new tips and tricks for making sure you’re prepared when walking regular distances. I have always taken walking for granted and thought that running was a lot harder, but I am learning that walking long distances works your muscles that you may not realise if you’re taking more short walks during the day. The first thing I learnt to change was my socks. Your feet will sweat when walking a long distance so it’s important to have some comfortable socks. I have tried thick socks, thin socks, long socks and short socks, each with differing successes. I seem to have settled on some dri-fit socks which are designed to keep the sweat away from your skin. 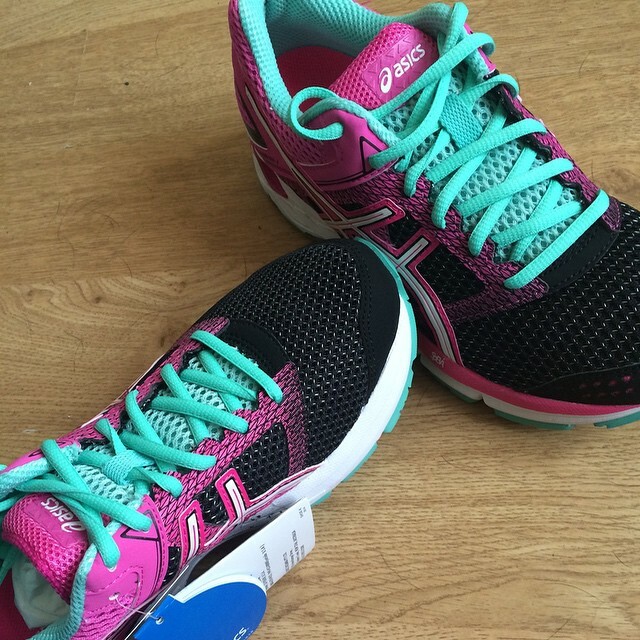 These are working for me with distances of 6.5 miles so far in training. Following on the feet line, it’s important to have footwear that is comfortable for you. I haven’t tried walking shoes as my trainers have been very comfortable for me so far. I have two pairs that I am alternating wearing depending on where I am walking. If it’s a trail that is muddy then my older pair comes out, but if it’s a road walk day then my newer more cushioned pair is worn. As we are still in the Winter months, it’s cold out there sometimes when I’m walking. It’s also quite wet on occasion. I have found my Trespass Numbered jacket to be great in the rain. You can read my review of the jacket here. It is padded for warmth and has a hood, but it’s also waterproof which helps against the drizzle. Zipped pockets also help keep my keys and phone safe. You do warm up quickly when walking so whilst I often think my big heavy coat is a good idea, I’m often very warm very quickly. Most of my walks are done with my training partner and friend, but there are days that I just go our for a short three or four miles on my own if I have the time. These are the times that are either spent thinking, or blog planning for example. Sometimes though I just want to listen to some music and forget everything. I don’t like headphones with wires when I have a coat on, so a pair of wireless bluetooth headphones are a great idea for syncing with my phone when I’m out. On shorter walks, I don’t worry about taking a water bottle with me, but it is important to stay hydrated when doing exercise. I noticed for the first time last weekend when our distance increased to six and a half miles, that I really needed a drink, so I am looking around for the perfect water bottle for me to take with me. So after four weeks this is what I have learnt so far. It’s also very good motivation to have my Fitbit on my wrist (which actually never leaves me now unless it’s being charged). 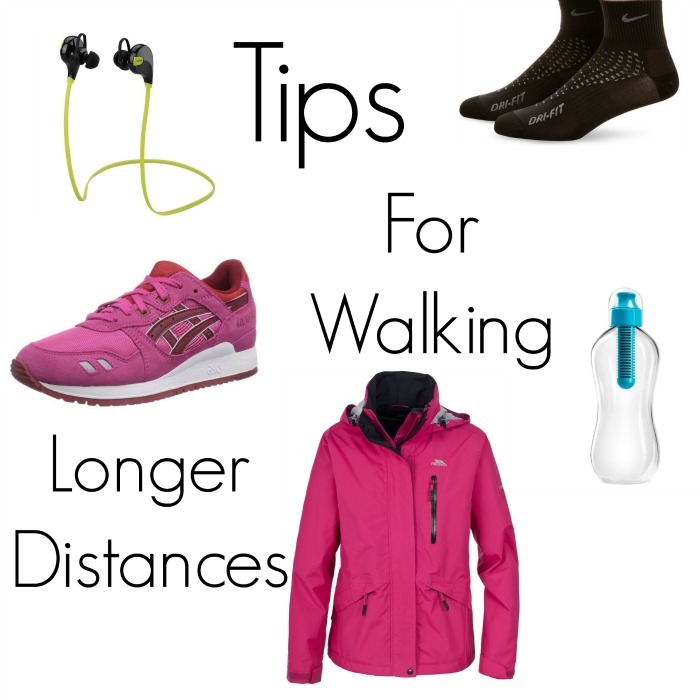 What are your top tips for walking longer distances?